Established in 1987, our school has been offering quality education for over 25 years. Founded in 1987, Our Lady of Charity School has been offering quality education for almost 30 years. Our Coeducational, bilingual school was established to provide solid education and moral values to children and adolescents in order to mold and create fine young men and women for society. One of our primary objectives is to offer a well-rounded academic education. This is certain to include well-formed social and emotional development and active extra-curricular activities. Our school offers superior care for infants through eighth grade. We also specialize in the education of children with special needs for students Kindergarten through Twelfth grade. Our Mission at Our Lady of Charity School is to provide high quality, developmental education for every individual learner. With catered educational plans and parent support we can create and maintain life-long learners and achievers in society. Students learn best when they feel comfortable in their environment. We offer specialized student/teacher relationships, small classrooms ratios, excellent academics and a loving, caring faculty, which can only lead to the complete success of a student. It is with this combination and a fine, moral Catholic Up Bringing that we know our students will excel in all of their future endeavors. With the Lord as our Guide we will continue to offer a safe and loving environment so that our students will build the necessary foundations for a healthy successful life. Our school eagerly belongs to the following associations. 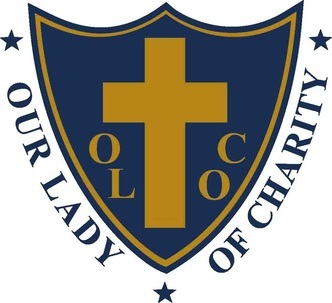 Our Lady of Charity School is a Gold Seal Accredited facility. Our Early Childhood program is proudly accredited by National Early Childhood Program Accreditation. Our Elementary, Middle and High School programs are proudly accredited by National Private School Association Group. Our goal is to continue striving for additional local and national recognition.